"Unfortunately, our visit to this place is full of ignorance that our trip was of no use at all because there were no whale sharks that were seen by us." 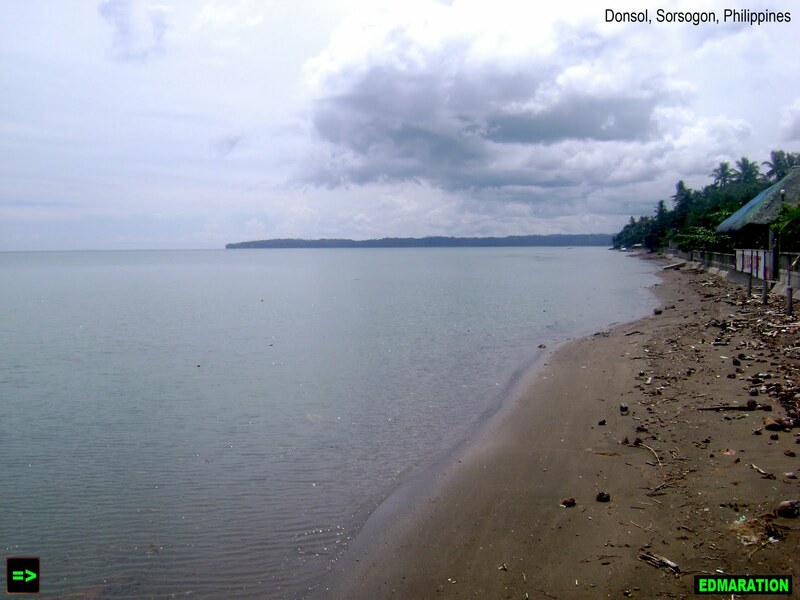 The town of Donsol in the province of Sorsogon in the Philippines has been so sleepy until the year 1998 when it's potential as a tourist destination was discovered. I was so excited to go in this place because of the world famous "butanding" or the whale shark, the largest fish in the whole wide world swimming underneath this town's waters. It might be the largest fish but in the contrary, they only eat the smallest organisms in their habitat like plankton. Unfortunately, our visit to this place is full of ignorance that our trip was of no use at all because there were no whale sharks that were seen by us. The reason is that, it is not their season this month. July is a month by which these gentle sea giants rarely appear and it extends until October. Who is to blame? Of course us. 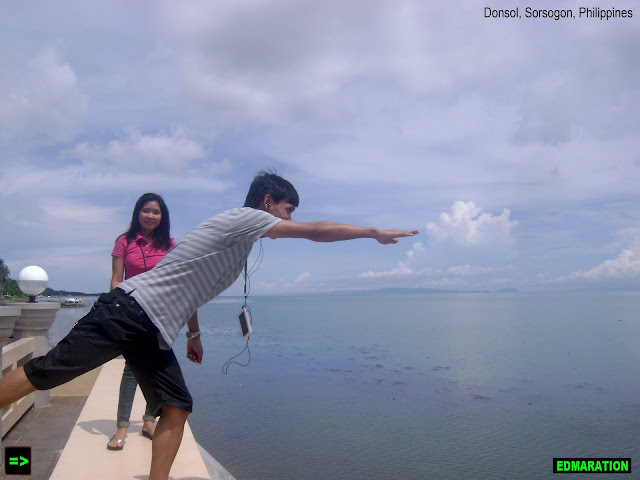 We were not so familiar with Bicol so what we did was to just pick-up a tour guide on the spot and guess who was he? Our tour guide was a street vendor! We were so stupid. Our tour guide was a 20-year-old street vendor from Legazpi City, Albay who will soon become a father. Although the boy is familiar of the place and of the routes we were taking in, he wasn't familiar about what to do, what to see and what to expect in the places he is taking us. Yes, he knows the place but not the purpose of the place. So about 3-4 hours of tour was not of good quality. 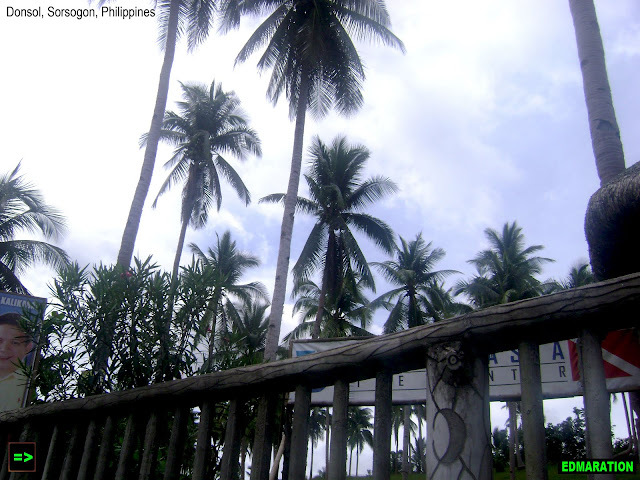 However, I didn't regret because another province has been added to the provinces I have visited and that is Sorsogon. 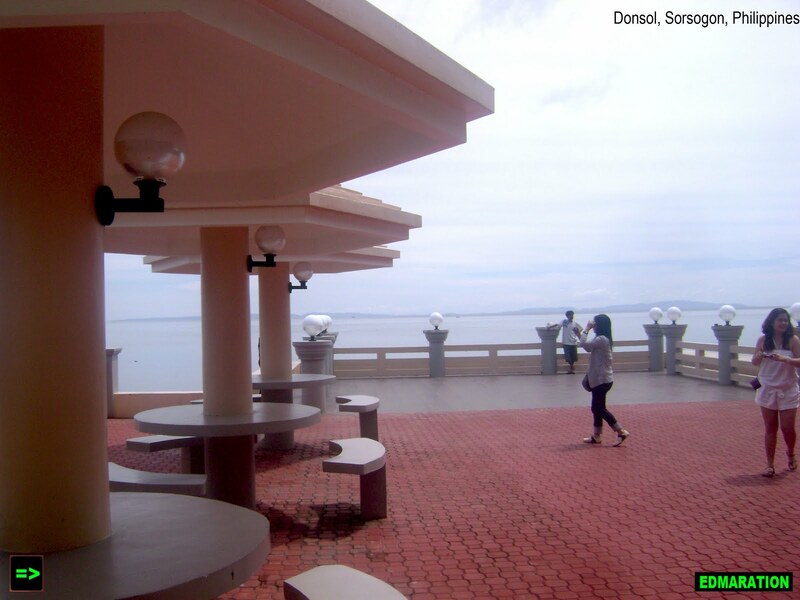 In order to qualify our urge to see "butanding," we went to Donsol Tourist Center for assistance and still, they were in regret to say that we won't be seeing "butanding" this month, it will be only by chance or none at all. 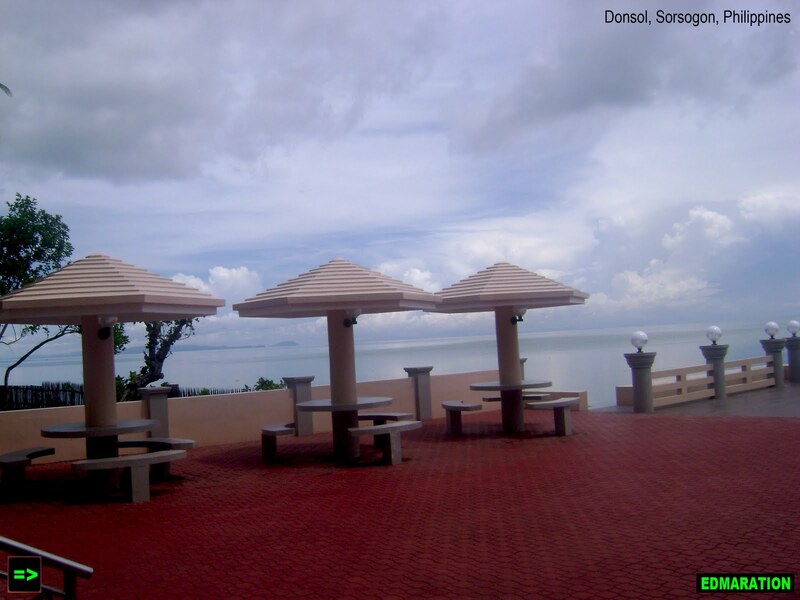 A park at the Donsol Tousist Center in Sorsogon overlooking the bay where the whale sharks are roaming during their roaming season. 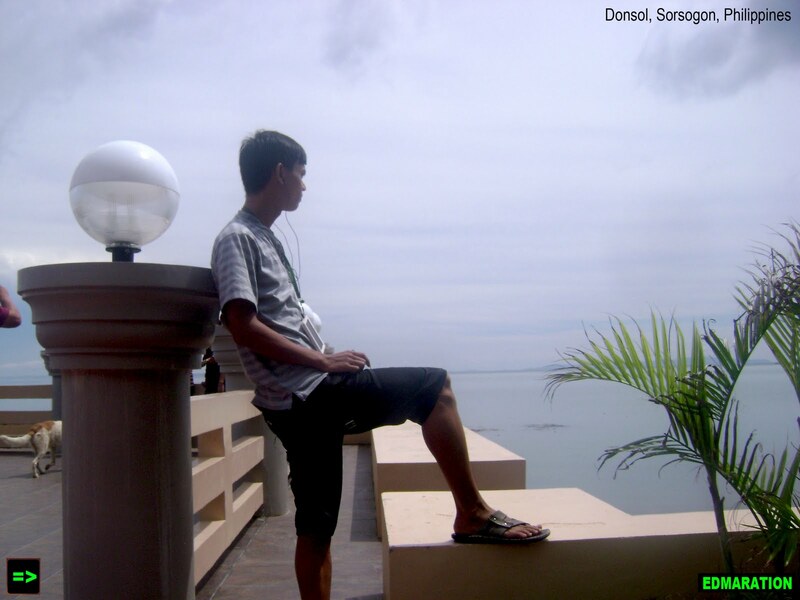 We were like a hungry bird looking for a worm in the midnight because we were not actually aware and had no idea what should we do in Donsol. All we know is that there are whale sharks or "butanding" in this place but we were not so aware at all that there is a certain time for the whale sharks to appear in Donsol and it is between November and June. 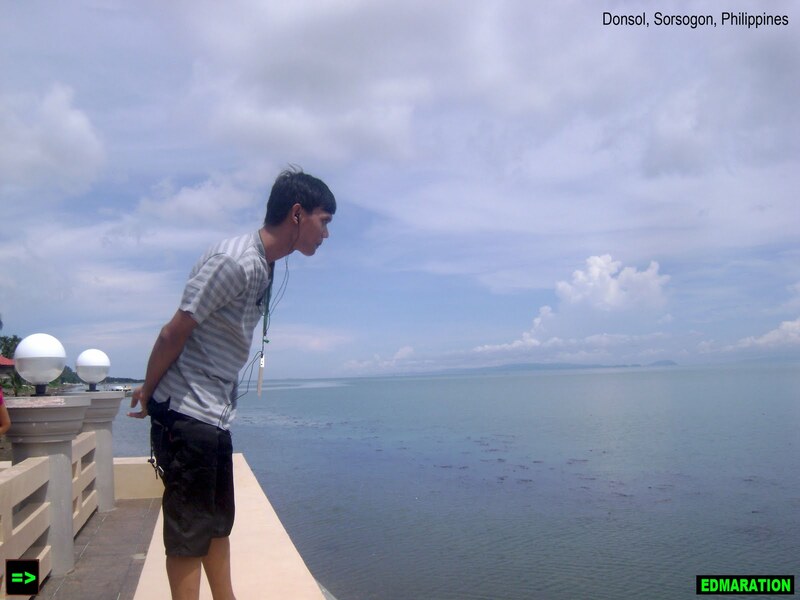 So, after about 2-hour drive from Legazpi City, Albay, there was nothing so special in this place and it was really our fault why we went there without the main event. To entertain ourselves, we have just made fun with ourselves by taking pictures with the beach where the butanding is roaming. Although it was a bad decision to get here because we didn't see the butanding, at least, knowing that the whale sharks are roaming here is already ok, at least. hehe. Of course I'll be back here but not in July. At least I learned something! Wooot!